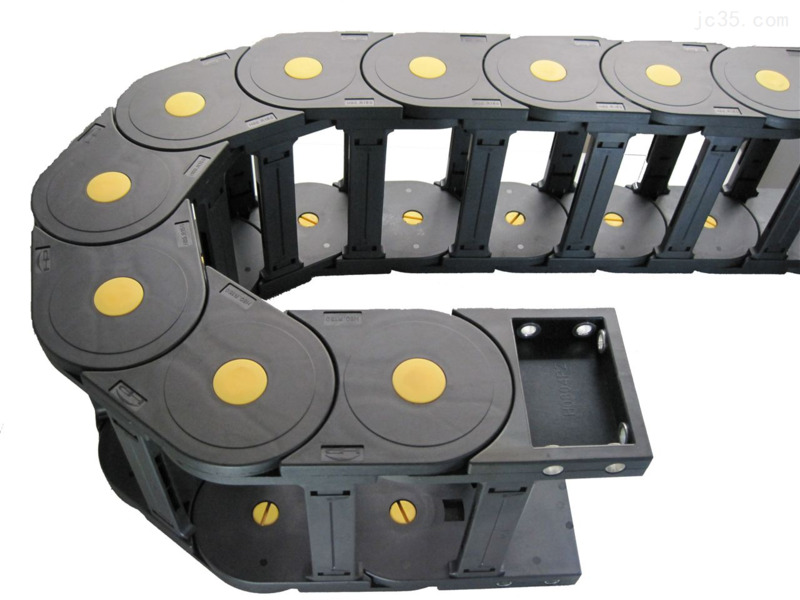 We offer Moulded Plastic Cable Drag Chain, which are light weighted machinery protectors. These low maintenance products are easily installable with the help of snap together links. Light weight; Cost effective; Rugged closed pull through nylon carriers; Maintenance free ; Easy install and service with snap together links; Available snaps in vertical dividers available ;Suitable for high speed and long travel application; Integral stain relief mounting brackets available ;Chain length can be easily modified . Specification Internal Size External Size Bending Radius Parts/Meter Order NO.